Broaden your mountain bike horizons. 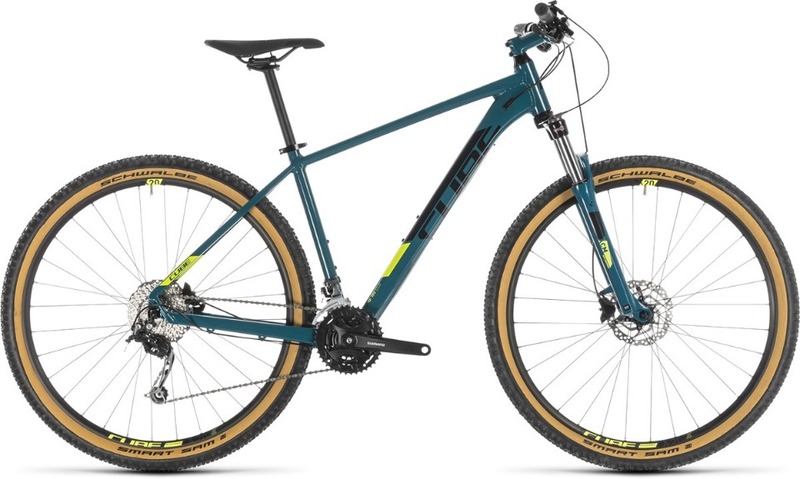 The Cube Aim SL is a versatile hardtail MTB that rides as good as it looks. The 100mm travel Suntour suspension fork has a remote lockout lever so you can stiffen the suspension up for those smooth climbs and then open it up for the descents without missing a pedal stroke. With Shimano 3x9 speed gearing and hydraulic disc brakes the Aim SL is ready for adventure.